– Coaching and managing Club/travel teams and individual players. – Initiating and executing leagues, clinics, tournaments and (summer)-camps. 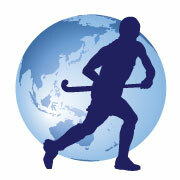 – Promote the Total Dutch Field Hockey program. – Assisting in the administration that comes with running the program. – Must have taken Field Hockey coaching course(s). – Able to train/coach for up to 8 hours on a day, this between intense private sessions/ team practice and coaching tournaments. – 10 months contract with option to extend. – Working visa paid for by company. – Roundtrip Amsterdam – New York. – Salary according to job demand. – Use of company car and cell phone. – Basic travel health insurance. – An easy going, international working environment. Job Categories: Club Coach. Job Types: Full-Time. Salary: Less than 15,000.